When Will SSA Get A Real Commissioner, If Ever? With a $12 billion budget and almost 64,000 employees serving in more than 1,500 offices across the country and around the world, plus 16,000 State employees making disability determinations, the Social Security Administration issues more than $960 billion in payments to nearly 66 million people each year. Previously, Ms. Berryhill served as the Deputy Commissioner for Operations, Social Security’s largest component, where she successfully implemented many expanded service delivery options for the public. Prior to that position, Ms. Berryhill served two years as the agency’s Regional Commissioner for the Chicago Region and five years as Regional Commissioner for the Denver Region. In Denver, she developed numerous innovative, mission-focused initiatives such as video service delivery, use of webinar technology, and the creation of the first American Indian outreach guide. Ms. Berryhill began her Social Security career as a GS-2 student employee. In her 40 years at the agency, she has held many frontline positions, including Claims Clerk, Service Representative, Claims Representative, Operations Supervisor, District Manager, and Area Director for the State of Illinois. Ms. Berryhill has received numerous agency awards, including the Commissioner’s Citation, the agency’s highest recognition. In 2010, she received the Presidential Rank Award of Meritorious Executive, and in 2015, she received the Presidential Rank Award of Distinguished Executive, the highest honor awarded career executives in the Federal Government. Her work and achievements consistently demonstrate professional excellence, exceptional leadership, integrity, and commitment to public service. A native of Chicago, Illinois, Ms. Berryhill obtained her degree in Computer Science at the Control Data Institute in Chicago. She is a graduate of the Kennedy School of Government at Harvard University. 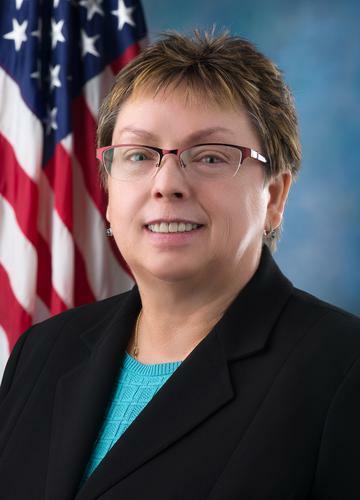 Meet The New Acting Commissioner Of THe Social Security Administration, Carolyn Colvin. On February 14, 2013, Carolyn W. Colvin became the Acting Commissioner of Social Security. Prior to this designation, she served as the Deputy Commissioner, having been confirmed by the United States Senate on December 22, 2010 as President Obama’s nominee. In addition to her role as the Acting Commissioner of Social Security, Ms. Colvin serves as a Trustee to the Social Security Board of Trustees. Who Will President Obama Select To Be The New Commissioner Of The Social Security Administration? Michael J. Astrue was sworn in as Commissioner of the Social Security Administration (SSA) on February 12, 2007 for a six-year term that expires on January 19, 2013. President Barack Obama is expected to soon nominate a new Commissioner of the Social Security Administration. Astrue was appointed by President George W. Bush. The White House is silent about who will take the helm at SSA. 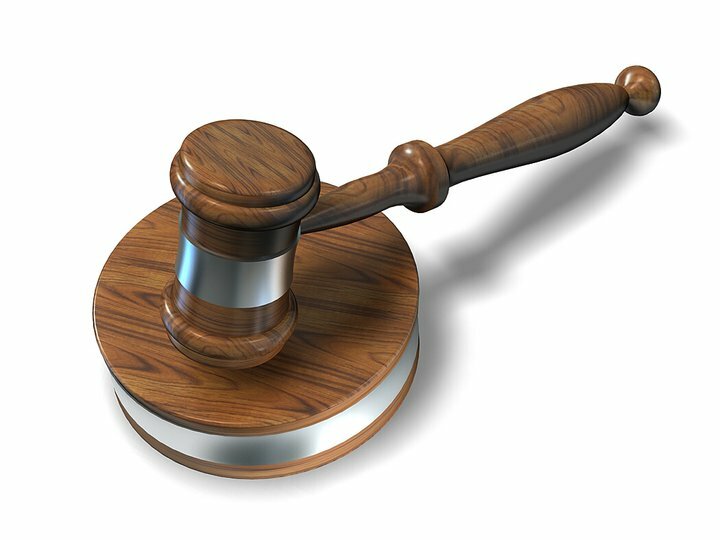 The SSA faces voluminous backlogs and claimants may have to wait up to 5 years just to get a hearing before an Administrative Law Judge (ALJ). Some extreme cases have taken more than 10 years from the date of filing a claim to get a final decision on whether they are entitled to disability retirement benefits. Social Security Commissioner Michael J. Astrue’s six-year term expires January 19, 2013. His successor must be confirmed by the Senate, in a process that Sen. Ben Cardin, a Maryland Democrat, expects will take a couple of months from the hearings to a vote. Michael Astrue was still Commissioner of Social Security on 25 January. His term ran out on January 19 but the Social Security Act says he can stay in his job until a successor is confirmed. He hasn’t resigned so he’s still Commissioner. The same is true for Deputy Commissioner Carolyn Colvin. The rumor had been that Astrue did not intend to stay on after his term ended. So far, he’s proving that rumor wrong. Astrue does seem to be clearing items off his desk. Take a look at what he just sent over to the Office of Management and Budget. I wonder if he’s planning to send over his version of new mental impairment listings before leaving. The SSA has more than 11,000 employees at its headquarters in Woodlawn, Maryland. It provides benefits to retirees, disabled Americans and the children of deceased workers. The SSA paid more than $778,000,000,000 (that is billion) in benefits to 56 million people. The SSA’s budget rivals that of the Department Of Defense. Carolyn Colvin is Astrue’s Deputy, but she is not considered to be a serious contender to replace him. She was confirmed by the Senate two years ago. Her term also expires January 19, 2013. She is a former secretary of the state Department of Human Resources and served as special assistant to Maryland’s Secretary of Transportation. One possibility that comes to mind is that there will never be an announcement of an Obama nominee for Commissioner of Social Security. Astrue will leave the job in the near future and Carolyn Colvin will become the Acting Commissioner for the rest of Obama’s term as President. Colvin as Acting Commissioner, unlike Astrue and unlike a nominated and confirmed Commissioner of Social Security, would be serving at the President’s will. If Colvin displeased the President, she could be removed from the job by Obama nominating and the Senate confirming a Commissioner. I think it is more than possible that the President has had his fill of an independent Social Security Commissioner and wants someone who is truly on his team. I have no inside information. This is just my speculation. Of course, this can’t happen if Astrue keeps hanging around. QUOTE: On February 14, 2013, Carolyn W. Colvin became the Acting Commissioner of Social Security. Prior to this designation, she served as the Deputy Commissioner, having been confirmed by the United States Senate on December 22, 2010 as President Obama’s nominee. In addition to her role as the Acting Commissioner of Social Security, Ms. Colvin serves as a Trustee to the Social Security Board of Trustees. Ms. Colvin earned her graduate and undergraduate degrees in business administration from Morgan State University. Additionally, she completed the Senior Executives in State and Local Government Program at Harvard University, the Maryland Leadership Program, and the Greater Baltimore Leadership Program. Ms. Colvin is from Maryland and currently resides in Anne Arundel County. She has one son and six grandchildren. UNQUOTE. Nancy Altman, who helps lead two Social Security advocacy groups, has emerged as a potential contender. She has been endorsed by the AFL-CIO and the Association of Administrative Law Judges (AALJ), a network of 1,400 ALJs who decide disability insurance claims. The endorsement of the AALJ is the kiss of death; so, she cannot really be considered a serious contender for the job. Nevertheless, Judge Randall Frye, president of the AALJ, has said the AALJ is backing Ms. Altman for Commissioner because of her expertise. One of the major challenges the next commissioner will confront is building administrative support to decrease the long backlogs in the disability insurance program. This is something that Commissioner Astrue was not able to accomplish despite all of the ALJs he was allowed to place on the federal pay roll and the increase in budget that he was granted. The new Commissioner will also be challenged to improve the quality of service that SSA employees are reputed to provide to the public. Case workers and administrative staff members at SSA are notorious for their abrupt manners and surly attitudes resulting in a low level of public service. The Agency will be challenged to provide a higher level of service. Senator Ben Cardin, a Maryland Democrat, was noted to remark that “This is an opportunity at the Social Security Administration to really take it to the next level, and it’s important to make sure it has the resources it needs”. My choice for the next Commissioner is something of a dark horse. He is James Roosevelt Jr. He is a Health Care Insurance man and considering the controversy surrounding the implementation of ObamaCare, he would be a natural choice for President Obama for his 2nd term. President Obama’s reelection lifted much of the cloud that hung over the health care industry in Massachusetts, where caregivers and insurers anticipated a push to repeal the national health care overhaul if Mitt Romney had become president. But Romney was not elected. “This outcome provides an opportunity for greater cooperation and less contention,” said James Roosevelt Jr., chief executive of Tufts Health Plan. But health care organizations are still seeking clarity on many features of ObamaCare, also known as the Affordable Care Act, many of which have not yet taken effect. The federal overhaul includes regulations requiring insurers to invest in new technology and funds for expanding Medicaid and revamping Medicare payments as the states press forward with their own efforts to rein in costs and build more integrated health care networks. Obama’s victory “removes a layer of uncertainty for health plans, providers, and employers,” said Andrew Dreyfus, chief executive of Blue Cross Blue Shield of Massachusetts, the state’s largest health insurer. In 2012 James Robinson Jr wrote an op-ed with Robert L. Reynolds, a Republican and CEO of Putnam Investments, where he advocates raising the Social Security retirement age at a brisker pace and cutting back the growth of benefits with a different Consumer Price Index (CPI). Considering President Obama’s attitude and behavior with respect to the “Fiscal Cliff” negotiations I am betting he will select James Robinson Jr to be the next Commissioner of the Social Security Administration. This just in from former Democratic Senator Bill Bradley of New Jersey. The press and public have understandably focused in recent weeks on high-profile appointments such as the secretaries of state, defense and treasury as President Barack Obama builds his second-term team. They also should pay close attention to the search for a man or woman to serve as commissioner of the Social Security Administration — a post central to the national welfare and, with a six-year term, an appointment that will continue into the next presidency. The Social Security Administration, headquartered just outside Baltimore in Woodlawn, touches the lives and pocketbooks of nearly every American. With this cornerstone of our social compact under demographic pressure and political threat, the president’s choice for a successor is vitally important. •The nominee should bring substantial managerial experience. The Social Security Administration has roughly 62,000 employees. The agency processes payments of $4.5 billion to 6 million recipients every month. It needs a strong CEO capable of running a large and complex organization that does high-stakes work. •The nominee should bring considerable policy expertise. For more than 20 years, actuaries have battled, often very publicly, over the viability of Social Security’s funding mechanism. It would be profoundly foolish today to ignore the demographic challenges the retirement of baby boomers will pose to the system. The remedy should not be a Band-Aid, but structural reform for the long haul. The next commissioner, unlike some predecessors, should bring to the job a detailed historical knowledge of Social Security — of decisions that have made the system stronger and of others that have weakened it. •Diplomatic skills will be essential. The commissioner of Social Security will need to deal not only with criticism from his or her natural political opponents but also with substantial pressure from natural allies. A commissioner perceived as a zealot or out of touch with the private sector will have a hard time advancing arguments for a new structure of benefits or changes to Social Security’s long term funding. 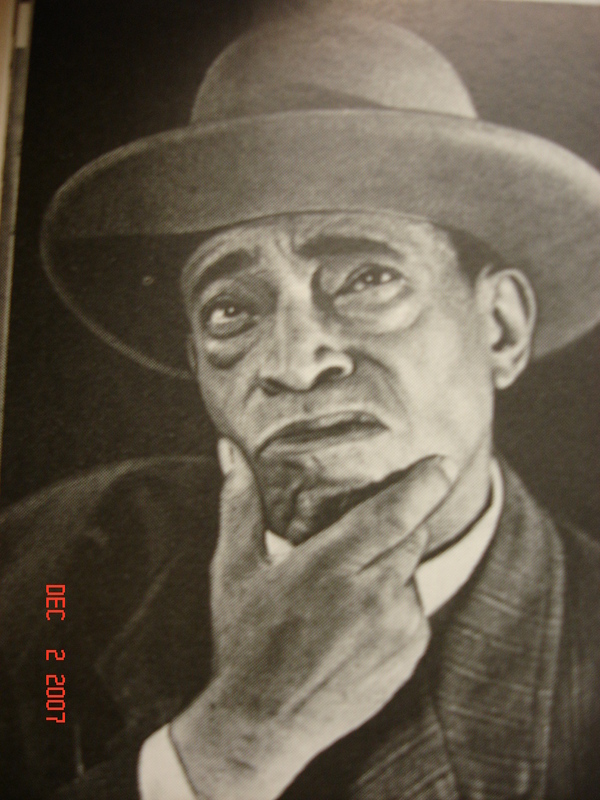 •The commissioner of Social Security needs considerable fortitude. One of the most important aspects of the job is appearing before Congress (approximately four times a year, though the frequency can shift). For at least the next two years, that will mean confronting a Republican-controlled Congress whose leadership lives in fear of tea partiers whose rhetoric would suggest they’d like to see Social Security dismantled altogether. The next commissioner of Social Security will need the strength of will and command of facts necessary to stand toe-to-toe with well-prepared congressional foes. •Finally, the next commissioner will have to be someone passionately dedicated to the principles that underlie the Social Security system and eloquent in articulating those principles. The vast majority of Americans want a fair system that offers dignity to the elderly while preserving economic opportunity for current and future workers. They deserve a commissioner who can ensure Social Security operates properly, provide a vision for its long-term future and lead the fight to preserve it from political critics or demographic threats. 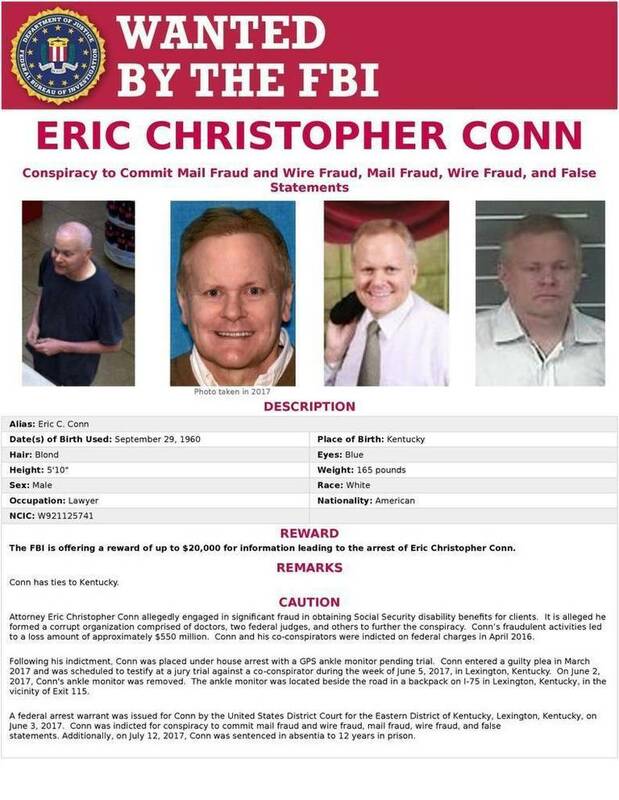 Disgraced former disability lawyer Eric C. Conn plotted his escape for a year before absconding from home detention weeks before he was to be sentenced in a massive fraud case, according to a federal indictment unsealed Monday October 16, 2017. The indictment levels new charges against Conn and Curtis Lee Wyatt, who worked for Conn at his law office in Stanville and allegedly tested security at the U.S. border with Mexico on Conn’s behalf. The indictment charges the two with conspiring on Conn’s escape from June 2016 — just two months after Conn was first indicted — to June 2017. Conn was scheduled to be sentenced on July 14 in his federal criminal case, but absconded on June 2. The indictment charged that Wyatt, of Raccoon in Pike County, took a number of steps to help Conn escape, including opening a bank account in Wyatt’s name that Conn used to transfer money out of the country. Wyatt also allegedly bought a 2002 Dodge Ram pickup truck from an unnamed seller in Somerset in May for $3,425, then delivered it to Conn in Lexington on June 1 for him to use in the escape. Wyatt had the truck registered under the name Disability Services LLC. Conn was on home detention while awaiting sentencing, but had permission from the federal probation office to be in Lexington June 1 and 2 to meet with his attorney and prosecutors, according to court records. Conn cut the electronic monitor from his ankle the evening of June 2 and took off. He put the monitor inside a pouch with a metallic lining designed to suppress electronic signals and threw it out beside Interstate 75 near the Newtown Pike exit. Conn allegedly ordered the bag and had it shipped to Wyatt, who later gave it to Conn in Lexington. In the weeks leading up to the escape, Conn also had Wyatt use pedestrian entrances to Mexico at Nogales, Ariz., and Columbus, N.M., in order to test security procedures for people crossing into Mexico from the U.S., the indictment said. The FBI found the truck in New Mexico. In addition to conspiracy, the indictment charges Wyatt with helping Conn escape, conspiring in Conn’s failure to appear, abetting Conn’s failure to appear and with lying to the FBI. Wyatt allegedly told the FBI he took the Dodge truck to Lexington for reasons unrelated to Conn. The indictment also added charges of escape and failure to appear against Conn. The charges are punishable by up to five years in prison each. The indictment did not say that Conn actually crossed the border into Mexico, and the FBI has not commented on Conn’s suspected whereabouts. The indictment was returned more than a month ago, but was sealed until Monday. Wyatt’s attorney, Thomas Lyons, said Monday that he did not think Wyatt has been arrested, but rather will receive a summons to make an initial court appearance this week. The indictment also mentions an un-indicted co-conspirator. That can refer to someone who is cooperating with authorities in a case. There is little information about the unnamed co-conspirator in the indictment. It said Wyatt took Conn’s Toyota Highlander back to Pikeville after giving Conn the pickup truck and that he gave the unnamed person the keys. The indictment did not explain what the message meant. Lyons said he did not know the identify of that person. Wyatt described himself as “kind of the fill-in person” at Conn’s law office when he was interviewed in 2012 by an investigator looking into whether Conn made illegal campaign contributions in a state Supreme Court race. Wyatt said he started working for Conn in 2011. Among other duties, Wyatt said he usually handled firing employees for Conn. He said he had fired 40 to 50 people in a year, according to the investigator’s report. Wyatt also allegedly played a role in trying to discredit an employee at the Social Security Administration who had tried to bring attention to potential improprieties by Conn and Administrative Law Judge David B. Daugherty, an ALJ at SSA who rubber-stamped disability claims for Conn.
Conn came up with a scheme to have his employees follow the woman, Sarah Carver, to try to discredit her by catching her not working from home on days when she was supposed to, according to sworn statements from other former Conn employees to U.S. Senate investigators. Two longtime Conn employees said Wyatt secretly videotaped Carver going into the Social Security office in Huntington, W.V., but held up a newspaper from another day to make it appear she was fudging on her work-from-home time. Former Conn employees also said Conn had Wyatt smash computer hard drives with hammers and then burn them after Conn became concerned about scrutiny of his relationship with Judge Daugherty. Conn represented thousands of Eastern Kentucky residents in successful claims for federal disability benefits through the Social Security Administration, but pleaded guilty in March to stealing from the government and to bribing a Social Security judge. Conn admitted putting false evidence of clients’ physical or mental disabilities in their claims, paying doctors to sign forms with little scrutiny, and giving more than $600,000 cash to Judge Daugherty. Daugherty pleaded guilty in the case, and a psychologist from Pikeville, Dr. Bradley Adkins, was convicted of signing forms for Conn that included false information. Another former Social Security Administrative Law Judge, Charlie Paul Andrus, pleaded guilty to being part of the scheme to discredit Carver. More than a dozen charges against Conn in the original 2016 indictment remain in place. Attorney Eric Conn could be sentenced to life in prison if caught and convicted. SSA Announces 2% COLA Increase in 2018. Social Security checks to be 2% bigger in 2018. 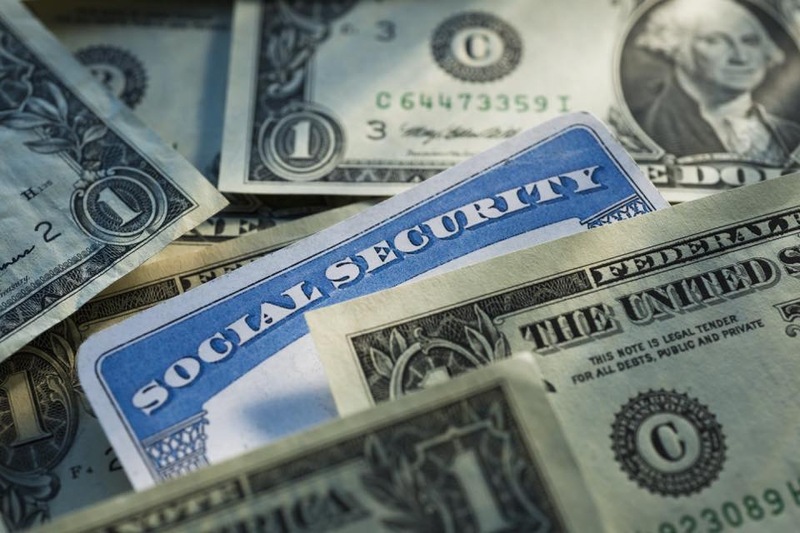 NEW YORK – Millions of Americans will get a boost to their Social Security checks next year. The government announced a 2 percent increase to Social Security Benefits October 13. The bigger checks aim to help offset rising prices. The average monthly check is estimated to increase to $1,404 in January — a $27 increase from $1,377 a month. Millions of Americans rely on Social Security to help make ends meet, and many have been struggling in the face of higher prices on essentials like health care, rent and food. Not all of the recipients are retired workers — many are people with disabilities, or surviving spouses and children. The 2 percent increase is the highest since 2012 when retirees got a 3.6 percent raise. At the start of 2017, recipients saw an increase of just 0.3 percent. In 2016, there was no increase. Over the summer, the Social Security trustees had projected a 2.2 percent increase in benefits. The annual cost of living adjustment (COLA) was introduced in 1975 and is based on increases in the Consumer Price Index for Urban Wage Earners and Clerical Workers (CPI-W). CPI-W tracks how much consumers pay for goods and services. “For the tens of millions of families who depend on Social Security for all or most of their retirement income, this cost of living increase may not adequately cover expenses that rise faster than inflation including prescription drug, utility and housing costs,” said AARP CEO Jo Ann Jenkins. October 11, 2016 – The Social Security Administration (SSA) paid deceased federal employees $1.7 million in benefits for an average of seven years after they died. According to an audit by the Inspector General (IG), the error occurred due to the SSA’s failure to crosscheck beneficiaries’ death files with the Office of Personnel Management (OPM). As a result, the deaths were not logged in SSA records. The office manages the administration of retirement benefits and other services for government workers. Investigators found the SSA made the erroneous payments of old-age, survivors and disability insurance benefits to 35 individuals. Among them, one beneficiary had died in 1991, but the Office of Personnel Management never reported the death to Social Security. The inspector general claimed the SSA would have likely paid the deceased individuals around $258,000 in benefits over the coming year if the discovery had not been made. In one example that was cited, a Georgia woman received benefits until 2015 even though she had died in 2007. Although her son reported her death to the SSA, he was able to receive his mother’s benefits checks totaling $68,192 over seven years. He must now repay $63,446 in penalties to the government. 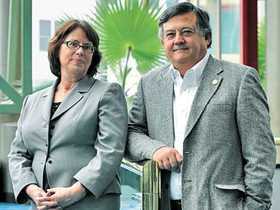 Social Security Judge Erred on Credibility. Decision Reversed. Oct. 3, 2016 – The U.S. Court of Appeals for the Seventh Circuit granted a Wisconsin woman’s claim for disability insurance benefits, concluding that an Administrative Law Judge (ALJ) erred when making a credibility determination. Claimant, Debora Ghiselli, applied for disability benefits under the Social Security Act. She claimed that certain health problems, including degenerative disc disease, asthma, and obesity, prevented her from working. An Administrative Law Judge (ALJ) denied the claim. A Judge for the U.S. District Court for the Eastern District of Wisconsin upheld the ALJ’s decision. But Ghiselli appealed, arguing that the ALJ committed errors. The ALJ had followed the Five-step Sequential Evaluation Process for evaluating the claim, under 20 C.F.R. section 404.1520(a)(4). The Fourth Step required the ALJ to consider Ghiselli’s “residual functional capacity” (RFC) and “past relevant work”(PRW). To do this, the ALJ considered reports from several physicians. One was the doctor who treated Ghiselli after a workplace injury to her back. The Treating Doctor had recommended that Ghiselli limit daily work to four hours as a customer service manager. Two other Consultative Doctors, state agency medical consultants, said Ghiselli had “severe pain and limited mobility” but the medical evidence did not support such extreme restrictions. Two other physicians performed imaging examinations and found only mild impairment. The ALJ determined that a four-hour workday restriction may have made sense after an initial injury, but there was no medical basis to support the restriction years later. The judge assigned “significant weight” to the non-treating physicians’ reports. In determining Ghiselli’s “residual functional capacity (RFC),” the ALJ noted Ghiselli’s own testimony. Ghiselli said she could still do light housework, drive her car, go grocery shopping, care for her pets, and perform other activities of daily living (ADL). The ALJ also found that Ghiselli gave inconsistent statements that damaged her credibility. For instance, in one report, Ghiselli claimed her doctor restricted her from working at all until she was cleared to lift more than 15 pounds. But the doctor had said she could work four hours per day, as long as she lifted no more than 25 pounds. The ALJ ultimately concluded that Ghiselli could perform a range of light work and was not functionally disabled for purposes of disability insurance. The district court affirmed. But in Ghiselli v. Colvin, No. 14-2380 (Sept. 16, 2016), a three-judge panel for the Seventh Circuit Court of Appeals vacated the ALJ’s decision and remanded the case to the Social Security Administration (SSA). The panel ruled that the ALJ made an improper credibility determination based on Ghiselli’s subjective accounts of the pain she was experiencing. “His credibility determination was based in part on his conclusion that Ghiselli could successfully perform numerous life activities,” wrote Judge Diane Wood. Attorneys worry 1,000 or more Social Security beneficiaries will lose checks when re-evaluated. Attorneys representing hundreds of people fighting to keep their Social Security federal disability benefits worry those benefits may disappear for most of them if they do not have a lawyer. Each year, the Social Security Administration (SSA) orders thousands of people to attend Re-Evaluation hearings to determine whether they should continue receiving disability checks. Many of those people are former clients of Attorney Eric C. Conn. In 2011 a story appeared in the Wall Street Journal concerning the high rate in which SSA Judges approved Social Security disability cases. Allegations of fraud came under investigation by a U.S. Senate committee. Sen. Tom Coburn, R-Okla., was the Chairman of The Senate Committee. The Committee’s Report found widespread fraud and a veritable “disability claim factory” allegedly run by Attorney Eric C. Conn out of his small office in Stanville, Kentucky, a region of the country where 10 to 15 percent of the population receives disability payments. The report documents how Attorney Conn allegedly worked together with Social Security Administrative Law Judge David Daugherty (ALJ) and a team of favored doctors with checkered pasts, including suspended licenses in other states, who rubber stamped approval of disability claims. In most cases, the claims had been prepared in advance with nearly identical language by staffers in Conn’s law office. The report found that over the past six years, Attorney Conn allegedly paid five doctors almost $2 million to provide favorable disability opinions for his claimants. 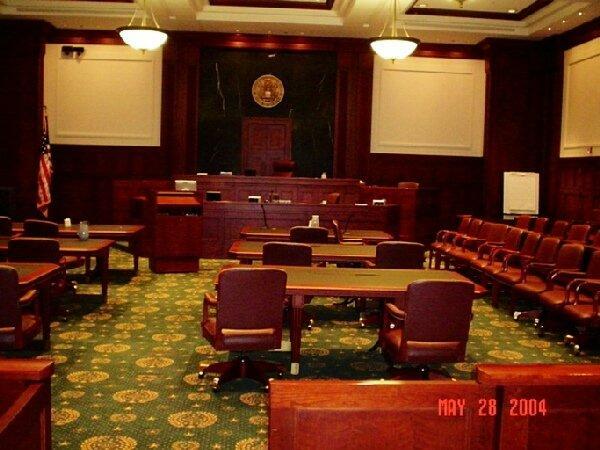 In 2010, the last year for which records are available, Judge Daugherty approved 1375 disability cases prepared by Attorney Conn’s office and denied only 4 of them – an approval rate that other administrative law judges have described as nearly impossible. Judge Daugherty, 78 years old, processed more cases than all but three judges in the U.S. He had a wry view of his less-generous peers. “Some of these judges act like it’s their own damn money we’re giving away,” ALJ Daugherty told a fellow Huntington SSA ALJ, Algernon Tinsley, who worked in the same office, Mr. Tinsley recalled. The report says that when Senate staffers and the Social Security Administration’s Office of the Inspector General began an investigation based on tips from whistle blowers in the Social Security Hearing Office, Attorney Conn and Judge Daugherty began communicating with disposable, pre-paid cell phones. It also alleges they contracted with a local shredding company to destroy 13 tons of documents. Attorney Conn also allegedly destroyed all the computer hard drives in his office, a la Hillary Clinton at the State Department. In 2011, the SSA placed Daugherty on administrative leave. He retired shortly after that. In October 2013 a West Virginia Police Report said Judge Daugherty was found unconscious in his car in a Barboursville, WVa. church parking lot. The report said the police found a garden hose running from the car’s exhaust into the passenger side of the vehicle. Judge Daugherty was taken to a hospital and later released. Conn has not been charged with a crime. He is suspected by congressional investigators of using fraudulent information to win the benefits. Attorney Conn’s legal fate remains in the hands of the Obama Justice Department. A prevailing concern is that disability recipients who do not hire an attorney to represent them at their re-determination hearings will lose their benefits. Unrepresented Claimants should not go through one of these complicated re-determination hearings without a lawyer. People appearing before SSA Administrative Law Judges (ALJ) can get a free lawyer on a contingent fee basis. The attorney does not get paid unless the client wins the case. That amounts to a free lawyer. Many disability recipients do not hire legal representation for their hearings. They stand a good chance of losing their benefits. Even some who were represented at Re-Determination Hearings are still anxious to hear results. “Not knowing … that’s been the worst thing is not knowing and trying to prepare in case you do lose your benefits,” one beneficiary said. One attorney who specializes in representing Social Security Claimants has said in recent weeks several people have told him they’ve thought about killing themselves if they lose their benefits. “The suicide chatter is way up,” the Attorney said. “It was especially bad around Christmas. Unfortunately people have got this unfortunate response that suicide is somehow a rational response to losing their benefits”, the attorney said. Family members of two people who killed themselves in 2015 are suing the Social Security Administration, because they believe that the Social Security Administration’s decision to terminate disability benefit checks was the reason they committed suicide. The families of of John Daniel Jude and Emma Burchett are convinced that the termination of their SSA benefits played a substantial role in their deaths. Attorneys for John Daniel Jude and Emma Burchett filed a lawsuit in U.S. District Court in Pikeville, KY. The lawsuit alleges Burchett’s husband, Leroy Burchett, and Jude’s wife, Melissa Jude, killed themselves in June after getting notice that their benefits would be suspended. More than 1,000 former clients of attorney Eric Conn received the same letter after Attorney Conn was accused of colluding with Social Security Administrative Law Judge David Daugherty to rig Social Security cases. These are desperate times for many people in America who were once considered among the Middle Class. They have seen their living standards decline and are struggling to make ends meet. Many were laid off in the last eight years and have not been able to find new jobs. They are not counted in the Unemployment Statistics because they have dropped out of the labor pool. Many are between the ages of 50 and 65 and do not yet qualify for Social Security Retirement Benefits. They have not even reached the age when they would be eligible to apply for early retirement. For many Baby Boomers that is around age 62. 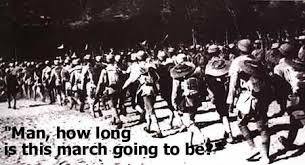 The Long March (October 1934 – October 1935) was a military retreat undertaken by the Red Army to evade the pursuit of the Chinese Nationalist Party army. It lasted for more than a year. The Long March was nothing compared to The Long Wait at The Social Security Administration. The Long Wait can take as long as two years; it has been known to last even longer, upward to four years. How long, oh Lord, how long? 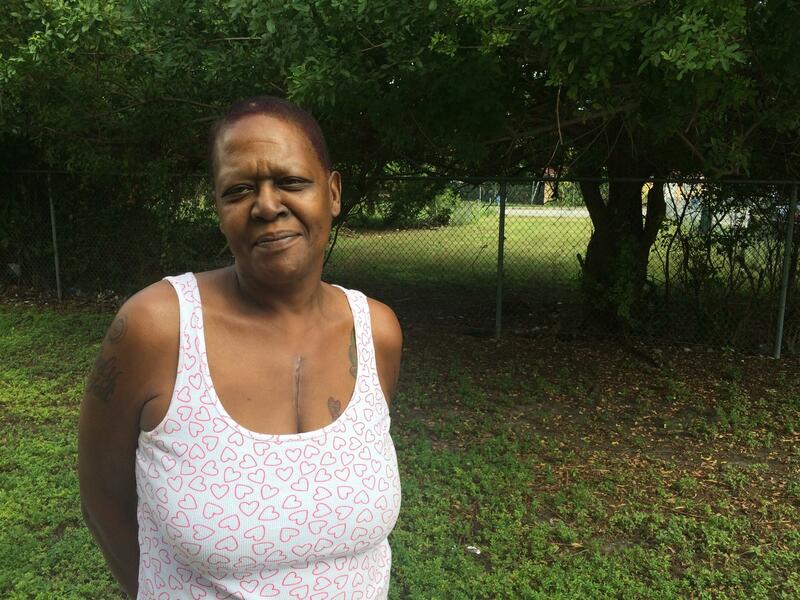 Sherice Bennett has been waiting 18 months for a hearing in the Miami Office of Disability Adjudication and Review. Consider the Case of Sherice Bennett. She is a caretaker in Florida. She takes care of her sister who has cerebral palsy. She had two sons, two dogs and she still has the tank that used to house her turtle and fish. It’s a role she happily fills on top of the other roles she’s taken on over the years: call center coordinator, caterer, accounts payable, executive secretary and, when that failed, school bus and truck driver. But about 10 years ago, working in any capacity started getting harder. Bennett was diagnosed with diabetes that had gone untreated for a while. A few years later she injured her ankle, which meant she couldn’t stand up for very long. Then an inflammatory lung disease, arthritis in her hands, and in 2013, after putting off visits to the doctor, she was told he had an aortic valve condition, something she was born with. She had to stop working. She had no health insurance. Disability benefits were designed to help when people get sick or hurt and can’t work. Those on disability get monthly disbursements to go towards expenses and automatically get health insurance — either Medicaid or Medicare. Most disability applications are initially denied. After two denials, the only other recourse is to request a hearing to make your case in front of an Administrative Law Judge (ALJ) at the Social Security Administration (SSA). And in Miami, that can take a long time. 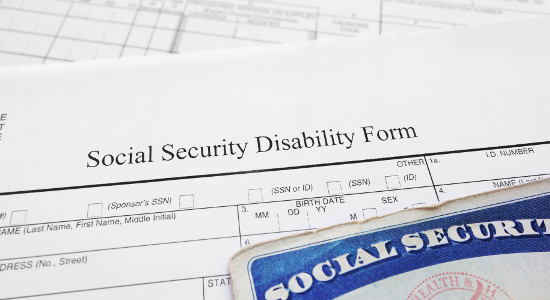 The Social Security Administration is responsible for handling applications for disability benefits. Over the last year, the Miami Office of Disability Adjudication and Review has had the longest average wait times in the country – a little more than 20 months, that’s about two years to get a hearing..
Bennett has applied for disability so many times she’s lost track – at least five times – and each time she’s been denied. “For me to pay my bills, I have friends sometimes that step up to the plate and they’ll send me money or they’ll pay the bill for me, but you don’t want to be a burden on somebody else,” said Bennett. She filed her most recent application in July of 2014. So now—like 9000 other people who’ve applied for benefits through the Miami disability office—she’s waiting to argue her case in front of an ALJ and make a convincing argument for why she should not have been denied. So far, Bennett’s been waiting 18 months on her most recent case. And statistically, she’s got months to go before she’ll get a hearing. “I had an uncle who was awarded benefits posthumously five years after he applied,” says Judge Thomas Snook, an administrative law judge for the Social Security Administration, where he’s been deciding on disability cases for 18 years. There’s something wrong with a system that is designed to help people [who] are disabled, where people are dying before you can hear their cases. — Judge Thomas Snook, ALJ, a Member of the Board of the Association of Administrative Law Judges of America (AALJ) and a judge in the Miami Office of Disability Adjudication and Review (ODAR). The Social Security Administration has no plausible explanation for the long wait. “It’s my money. I mean, it’s crazy to deny me what I’ve put into the program,” said claimant, Sherice Bennett. The government takes out money for social security from most paychecks — money she is hoping to recoup now that she needs it. In October, Bennett joined a “Class Action Lawsuit” against the Social Security Administration with a dozen other people who’ve been waiting to see a judge — some of them for nearly 30 months. The suit was organized by the University of Miami School of Law’s Health Rights Clinic, which sits at this unusual intersection between lawyers and doctors. Through the university, it has easy access to the staff and doctors at the medical school and the clinic is trying to leverage that access to help people get disability benefits more quickly. Aside from getting things sorted out through the lawsuit, the UM clinic may have figured out another way to deal with the issue on the front end of the problem. That’s the approach Carlos Nuñez from Stuart, Fla., tried. He has also applied for SSA disability benefits. Last April, he was diagnosed with a type of brain cancer usually found in kids. Every few weeks he goes for treatment at the pediatric wing of Sylvester Cancer center in Miami and the treatments can last a few days. At 23 years old, Nuñez towers over the other patients in the hallways. He proudly sports a beanie with the face of the cartoon character Stitch on it, a present from his sister. It covers his head — bare except for a little fuzz — but it doesn’t hide the half-foot-long scar long that runs up along the nape of his neck. Doctors told Nuñez he couldn’t work for at least a year so he quit his job as a cleaner in a mall. His mom had to quit her job, too, in order to drive Nuñez the two hours down to Miami from Stuart almost every week for his treatments. They leave him too weak to drive. Even conversation is hard for him to sustain after a few hours. Carlos Nuñez would seem like a perfect candidate for a kind of disability called supplemental security income, or SSI. And with brain surgery, dozens of rounds of chemo and radiation, he says he needs the health insurance he’d get through the program. He applied right after his brain surgery in April. Like Sherice Bennett, the only choice he had was to request a hearing and wait for an ALJ. But before he submitted that paperwork, he got linked up with the Health Rights Clinic. Melissa Swain, associate director of the clinic, says Nuñez’s case is so black and white; she has no idea how the Social Security Administration could have denied him in first place. It’s something she sees pretty frequently. “The problem is that doctors and social security don’t really communicate on the same level. They don’t speak the same language,” explains Swain. For Dr. Michael Kolber, that difference was very clear in his work at the University of Miami Miller School of Medicine. “A lot of the disability questions I remember had nothing to do with the way I look at disability,” said Kolber. And in this litigious world, doctors are wary of filling out forms they’re unfamiliar with. Kolber has helped the Health Rights Clinic bridge some of these divides and get doctors on board with the clinic’s seemingly simple solutions. This one page is essentially a road-map to the hundreds of pages of evidence people like Nuñez have to submit from their doctors — in language made for the Social Security Administration. And with this one-page form, the students at the health clinic got his case reopened and approved. This type of one-page form could cut down the number of people waiting for a disability hearing. And that, hypothetically, could help cut down on the extremely long wait times for other people who don’t have as cut-and-dry cases. The clinic is hoping to make more of these road-maps available to the public, but Swain knows Nuñez’s case is unusual. Nuñez won his benefits and automatically gets Medicaid, which helps pay for medical expenses like chemo therapy. She doesn’t see the Social Security office going back and reopening a bunch of cases like Sherice Bennett’s, who just has to continue waiting for her latest disability hearing. In the meantime, she’s had open-heart surgery. The hospital picked up the tab. If she wins her benefits, though, she could get back pay — all the way back to when she first applied six years ago. She says if she gets disability benefits, she’d buy a home with the back pay, but she’d keep her car, just get it fixed up a bit. And for the first time in a long time, she’d have health insurance.